Awww, what happened to Amy? :c Is it permanent? In one of their battles, Eggman crushed her legs to make her weak. Ever since then she hasn't been able to walk. Fun Fact: I actually used to support Sonamy until Sonadow ruined my life. Sonaze for me but I like other pairings as well to a point where I imagine there are multiple universes for each couple I like. 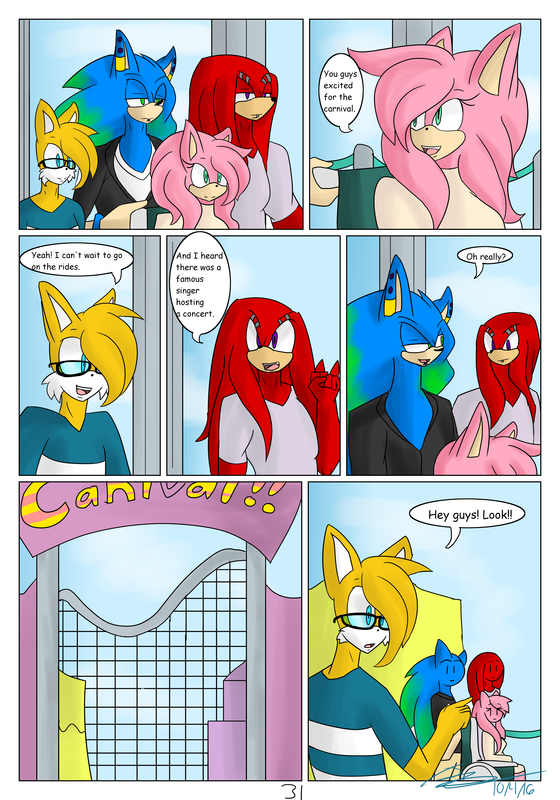 Are Knux and Shads supposed to have changed gender, or is Sonic gay and Shadow grew out his quills? I'm confused on that front. Are Knux and Shads supposed to have changed gender, or is Sonic gay and Shadow grew out his quills? In this comic, Shadow was created as a female, so Sonic is straight. And knux is still a male.